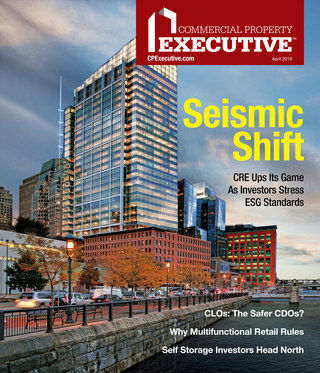 Panel: The multifamily sector is surviving for now, but a slate of challenges threatens to tip the balance. Las Vegasï¿½–The multifamily industry is holding up but faces challenges that could potentially tip the balance, according to speakers at the Mortgage Bankers Association (MBA) Commercial Real Estate Finance/Multifamily Housing Convention and Expo being held here this week. Movers and shakers in multifamily financing discussed the future of the multifamily industry at a general session entitled âAnd Now What?â moderated by Beekman Advisors managing partner Shekar Narasimhan. The early part of the current downcycle in the apartment market was âfear-driven,â said David Twardock, president of Prudential Mortgage Capital Co. However, the business cycle for the sector is entering a new phase where the fear is âthawing,â to be replaced by the necessity of facing the reality of overleverage, he said. The industry will have to deleverage by taking losses, adding equity or property appreciation, and will have to find the equity to do so, Twardock noted. She said that the subsidized and/or public housing portion of FHA, which traditionally keeps the claims rate down, is a shrinking portion of the FHA multifamily portfolio. Also, HUD has made construction loans without stabilization requirements. These loans are coming to stabilization, and the cycle is such that the properties may not fill up. HUD is getting ready to tighten requirements for its FHA multifamily mortgage insurance program. Galante said that her biggest concern is over âworkouts that will inevitably take place over the next two years,â though this she said also presents a historic opportunity to create affordable housing. In his presentation, James R. Woodwell, vice president of commercial/multifamily research at MBA, said that multifamily housing is not markedly dissimilar to other sectors in its rate of delinquencies. In CMBS financing, it is the leading sector in delinquencies, while it is on par with other sectors in bank financing. However, Woodwell said that in general delinquency rates in the sector are only now reaching levels last experienced in the recession of the early 1990s. By contrast, loans of other assets are experiencing delinquencies that have not been seen in decades, he noted. Burke told the audience that generally, if his banks feels that the property cash flow is at a level that the debt can be serviced at maturity, they will work with the borrower. If the borrower cannot provide an adequate yield, the bank may liquidate the loan. There is also the danger at this point of apartment properties becoming under water–a problem that has already hit the single-family sector. This could exacerbate default levels. Fannie Mae executive vice president Kenneth J. Bacon said that one of his biggest worries is that owners will stop maintaining their properties. He said starting in 2010, a lot of loans will be maturing. They are âwell operated,â with âacceptable occupancy levels,â he said. âBut the problem is value,â which is âgone,â he said. The real danger is not only whether the property owners will stop making the debt servicing payments, but whether they will stop caring for their properties. âThis problem of value is manifesting itself,â Bacon said. Similarly, Michael May, senior vice president, multifamily sourcing at Freddie Mac, said his biggest worry is that borrowers may change their psychology: stop âsticking it outâ with their properties and waiting for better times. Now, multifamily owners are looking at positive future trends for the sector: the fact that there is no supply and growing demographics. They may also feel the cycle is moving towards the bottom, so even though their properties are not producing cash flow, they will persevere. If there is stagflation, however, the psychology could change and âwe could wake up overnightâ with a serious asset management problem, said May. On the plus side, speakers suggested the government is not likely to not want to disrupt the continued flow of capital from Fannie Mae and Freddie Mac to the sector. âThe good thing about the total reliance on Fannie Mae and Freddie Mac is that we have a total reliance on Fannie Mae and Freddie Mac, and everyone knows it,â said Michael Berman, 2010 MBA Chairman-Elect and president and CEO of CWCapital. He said policy makers may not want to âshake the fragile baseâ of the two agencies also because they are pivotal to the economyâs performance. He indicated that any reform of Fannie Mae and Freddie Mac can take years. âIn the last few years, both agencies came through with flying colors â and helped stabilize the multifamily and single-family markets, agreed May. If a long-term solution plan is crafted for the two agencies, that fact âwill be at the forefront of peopleâs thinking,â May surmised. With regard to the question posed by Narasimhan of when or whether the industry will see $20 billion of CMBS issuance in one quarter, speakers seemed mildly optimistic. Bacon said that will also depend on policy initiatives from FDIC, which is in charge of the banks that hold many of the mortgage-backed securities. Prudentialâs Twardock said a market will emerge by next year. KeyBankâs Burke said that the FDIC will need to get the assets off the banksâ books. By the time some actions occur on this may be the end of the year and into next year. He also noted some investment banks are already saying that they are making loans for CMBS securitization. One of MBAâs top priorities currently is the extension of TALF, which expires by June and which has been credited with stimulating the CMBS market in the later part of last year. 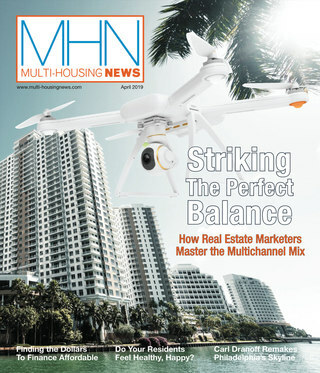 Keat Foong is also executive editor of Multi-Housing News.